Hugh Wilson "Bones" Taylor (July 6, 1923 – November 1, 1992) was an American football player and coach. He played as an end in the National Football League (NFL) for the Washington Redskins. Taylor played college football at Oklahoma City College before entering the NFL in 1947. In his first NFL game, he gained 212 yards receiving, setting league records for an NFL debut and first game of the season. Those records were broken by Anquan Boldin in 2003 and Frank Clarke in 1962, respectively. As a member of the Redskins from 1947 to 1954, the 6-foot-4-inch Taylor made the Pro Bowl in 1952 and 1954. Following his playing career, Taylor coached in the college and professional ranks. After two seasons as an assistant at Florida State University, he served as the head football coach at Arkansas State College—now known as Arkansas State University from 1958 to 1959, compiling a record of 7–11. Taylor then moved to the American Football League (AFL), as an assistant coach with the New York Titans from 1960 to 1962 and with the San Diego Chargers in 1963. He was an assistant for the Houston Oilers for one season before succeeding Sammy Baugh as head coach in 1965. The Oilers went 4–10 in 1965, resulting in Taylor's dismissal at the end of the season. Taylor coached receivers for the Pittsburgh Steelers of the NFL from 1966 to 1968. In 1969, he coached the Spokane Shockers of the Continental Football League. The Shockers were owned by Taylor's former Redskins teammate, Ed Justice. With the Shockers Taylor coached Ken Stabler, a rookie quarterback late signed by the Oakland Raiders. Taylor died on November 1, 1992. 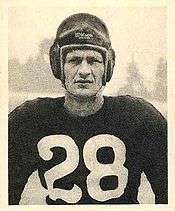 ↑ "Hugh (Bones) Taylor; Football Player and Coach, 69". The New York Times. November 3, 1992. Retrieved July 30, 2016.